Welcome to Interviewed, a brand new series for this site consisting of interviews with a whole host of content creators and influencers from all over the internet. Each week we’ll learn a bit more about what they do and who they are, and what keeps them ticking! I hope you’re as excited as I am for this! For the first ever post, I’m so happy to be interviewing my friend Nicole of ThriftyVintageFashion. D: First of all, what is it you do on your corner of the internet? N: In my little corner of the internet, which is ever expanding, I blog about mental health and wellbeing. I share my own personal experiences of suffering with mental illness, share advice and tips for others battling through mental illness as well as advice for non sufferers in order to raise awareness and help reduce the stigma that surrounds mental illness. D: You’ve summed that up so well! Can you tell me a little bit about your offline life? N: I’m 18, and live among sheep, in good old Wiltshire. I’m currently studying my A levels in philosophy, psychology and sociology, with the aim of pursuing a career in something to do with either mental health or social media/publishing. 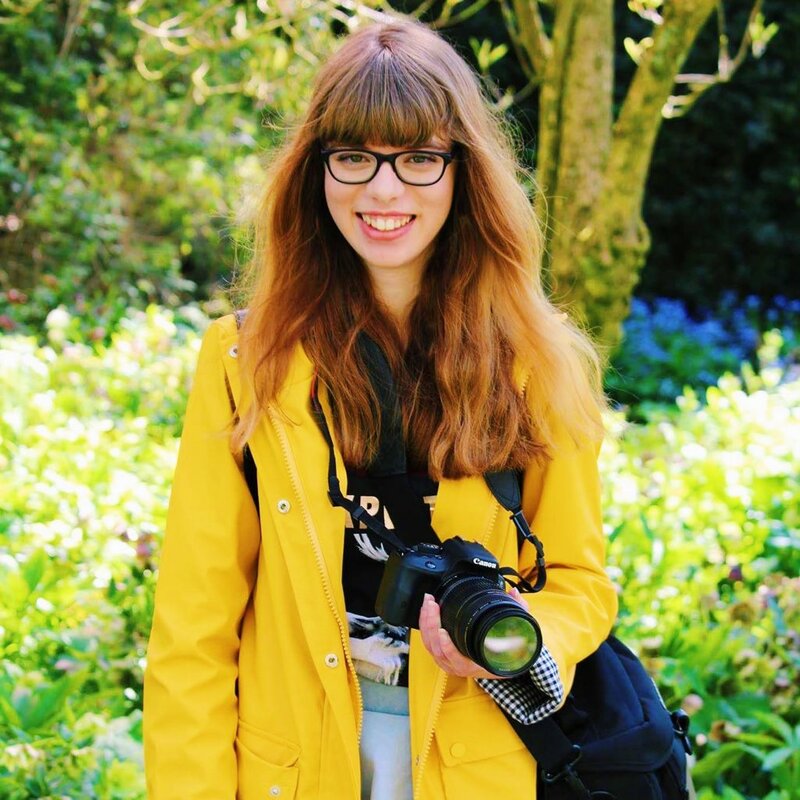 As well as studying and running my own blog, I also volunteer with a OCD youth, as a communications advisor and I’m a freelance writer for a student website. It’s safe to say, I am always pretty busy! D: That’s amazing! You’re doing so much, as someone going into a social media career, I wish I’d been getting as much experience as I could beforehand. It would have made the whole process a lot easier. What kickstarted you into making a blog? Do you remember the moment you decided to? N: I started my blog back in 2014, as a fashion blog. I have always been into media and being online. I was making YouTube videos when I was 11/12 years old. I was very interested in fashion at the time so I guess that’s what kick started me to blogging. D: When it comes to blogging, where do you find your inspiration? As you’ve said, you’re very busy! What keeps you working hard on a hobby that can often be a large amount of work v small reward? N: I find my inspiration mainly from people around me, so mainly other people I know suffering with mental illnesses and I guess just from my own experiences. My blog is very real and based mainly on my life, so I guess I can’t really be inspired by others because it’s my life and no one else is leading it for me! D: That’s brilliant, I’m glad you find it all so worthwhile and that it’s benefiting you personally! Do you ever find it hard to balance everything you have going on? You’re very busy and blogging takes up a surprising amount of time. N: Yes I do find it really hard to balance everything- especially when I get a lot of work set at college. I’m very good at prioritising though, I always put my college work first and try and make the most out of my time in the day to fit in blogging/volunteering or freelance work! But yeah, most of the time it does feel like I’m juggling not just the oranges but all the fruit in the fruit bowl! D: It seems like you’re doing a fantastic job of it! It’s hard having so much on at once, but it’s very satisfying to see everything continuing and developing! When it comes to fresh ideas and creating content, what is the hardest part of it all for you? From the conception of a post to completion, is there a particular part you struggle with? N: I think the hardest part for me is the completion; putting the post together, formatting it, adding SEO key search words, scheduling the post and tweets is time consuming and a bit dull. By far my favourite part is coming up with ideas, writing the post, taking and editing the photos. D: Those parts can be boring compared to the rest, to be honest I never schedule tweets and do SEO, which is a big mistake! I need to get into the habit of it. Have you had an opportunities because of your blogging? N: I’ve had a few opportunities because of blogging. I’ve got to work with some authors and brands , which is fun and is always a pleasure. I also got my role as communications advisor for OCD youth because of my experience with creating content for my blog. I’m definitely hoping to get more opportunities in the future though, who knows where my blog could take me? Is there a particular moment you’ve had due to blogging that you’re proud of? Or something you’ve done that stands out to yourself? N: Ohh! That’s a good question! I guess reaching 100k views or 1000 followers was a big achievement. I try not to focus on numbers too much, but I guess they are the biggest moments that stand out me so far! D: Those are really good moments! It’s hard not to focus on numbers sometimes, when they can be an easy way to benchmark. You should be very proud of them! I know you’ve said your influences come from yourself, as your content is often based on your own experiences, so rather than a few people who have influenced you, have you any creators that you particularly respect for whatever reason? N: There are so many creators who inspire me for so many different reasons. I couldn’t name them because A) I would be here forever and B) I don’t want to miss anyone out. All mental health bloggers inspire me because they are so brave for sharing their experiences and speaking out about mental health, to help reduce the stigma. I also admire anyone that blogs and works full time! People don’t know how much work goes into blogging! D: Great answers again! That sums up our creating focused part of the interview, now for some more fun ones that I’m always curious about! First of all, what’s your Hogwarts house? N: My Hogwarts house is Slytherin! N: My top 3 favourite films (I can’t pick one!) are; The Social Network, Alice in Wonderland (2010) and Edward Scissorhands. D: Who is your favourite musician/artist/band? N: My favourite band/ Musician changes all the time. At the moment I’m loving Bastille and Galantis, but my favourite singer of all time has to be Adele! You can find Nicole over on ThriftyFashionVintage, as well as on Twitter, Instagram and Bloglovin’. You won’t regret giving her a follow! A BIG thank you to Nicole for allowing me to interview her, and for her being the all important first guest on Interviewed. Next week we continue with Isagination. If you wish to get involved, or have a suggestion for someone who you think could be a part of Interviewed, don’t hesitate to contact me via e-mail (daveygranger@gmail.com) or via Twitter (@daveygranger). Thank you for reading, and we’ll see you next Wednesday with INTERVIEWED #2: ISAGINATION.